There is going to be a real live cut party on Wednesday and the fleet will be divided into Gold and Silver fleets (I prefer to call them Jedi and Sith but that is me….) and you’ll be racing the 2nd half of the week with people of like ability, therefore making for more competitive and enjoyable racing in all levels of skill. 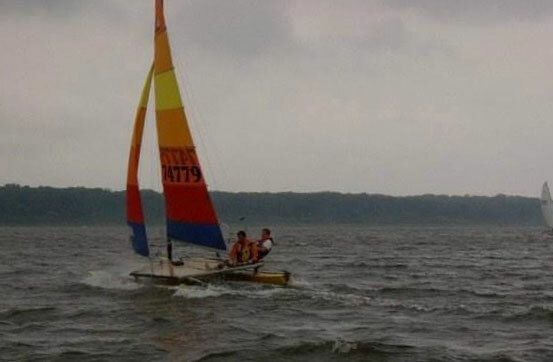 This 1984 yellow boat will be there (with newer sails on it) and the skipper of said boats hopes that more yellow, blue orange and brown boats sign up before the event happens in 2 weeks.